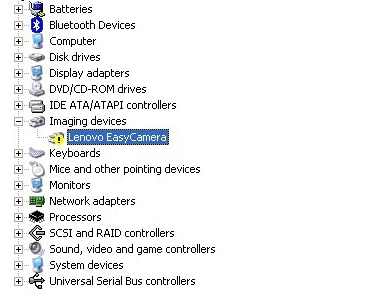 It is common that Easy Camera doesn’t work in Lenovo Y470, Y570, Y471a or Y470p. If this is your case, don’t worry. There is a trick for you to fix the issue. 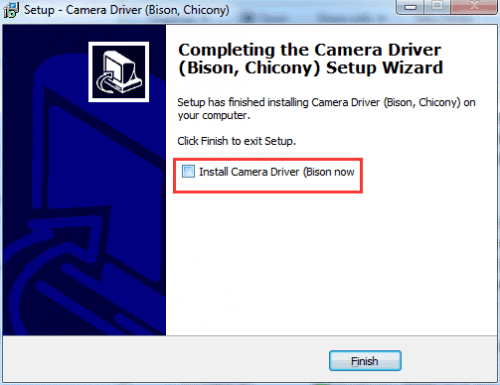 In Windows 10, The Easy Camera not working always is due to faulty drivers. Windows may fail to install the driver correctly. To get it work again, just install the right driver for the device. If you want to check the driver status, you can go to Device Manager. In Device Manager, if you see a yellow mark next to the device name, the driver is having problem. Lenovo hasn’t released the Windows 10 driver for Y470, Y570, Y471 and Y470p. If you have tried searching for the driver on their website, you may already knew that. So it is impossible to download Windows 10 driver from Lenovo. In this case, you can try the driver for older version of Windows. Usually, driver for Windows 8 or Windows 7 would be compatible with Windows 10. In order to have the maximum compatibility, try the Windows 8 driver first. Then your Easy Camera should work again. To install the driver, just double-click on the downloaded file and follow the on-screen instructions. During installation, when you go to the Finish screen (see below screen shot), ensure to uncheck the box next to Install Camera Driver. If not, you’ll get an error when doing an auto install. If the issue persists, you might want to try the driver for Windows 7. The broken device might be the reason if updating driver doesn’t work. Then you can consider taking your laptop to the repair shop for a further check. You can also use Driver Easy to fix this issue. Driver Easy will scan your computer and detect all problem drivers. Then provide you with new drivers. It has Free version and PRO version. With PRO version, you can enjoy faster download speed and full features. To update all drivers, all you need to do is click your mouse two times. Driver Easy PRO version offers expert tech support guarantee. Regarding any driver problem, you can contact us for further help. And it offers 30-day money back guarantee. You can ask for a full refund if you are not satisfied with the product. Hope the trick here helps you fix the issue.